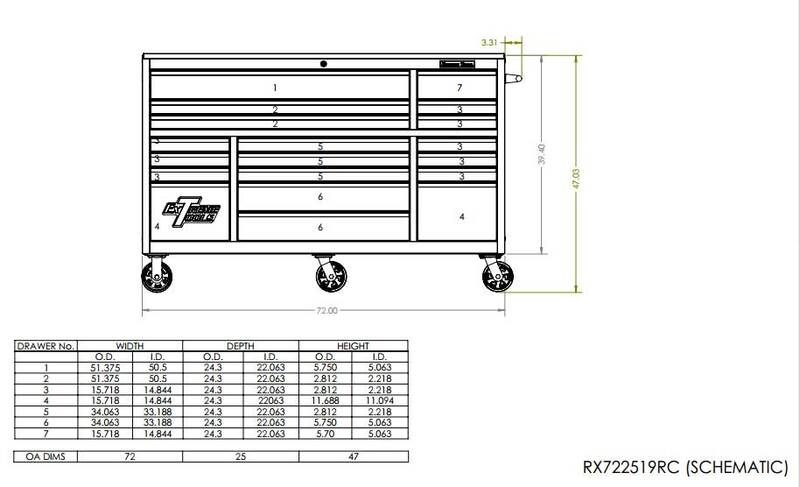 This is a awesome tool box, got the 72" bottom and a 41" top, great quality, and built well, goin to order side cabinets soon..... better than snap on. Thanks. 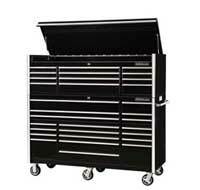 The CRX722519RC Rolling Tool Cabinet built by Extreme Tools has proven to be one of our more popular Tool Boxes. 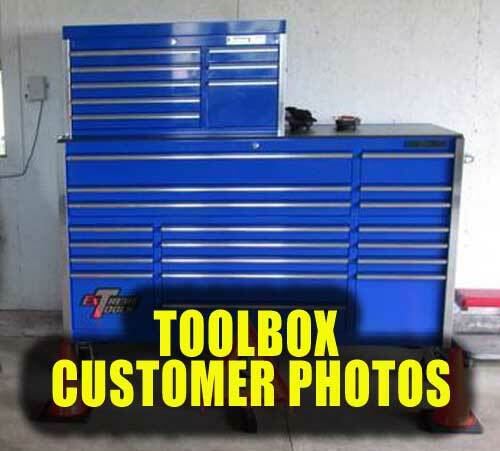 It is 72" wide 3 bank tool box, and it measures 25" deep, and stands 47" high. With 19 drawers there is plenty of room to organize your tool set. 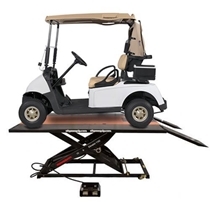 It has a mix of long, deep, narrow and wide drawers which gives you plenty of versatility. The top drawer is 51” wide x 5.8” high just right for socket trays and deep sockets or power tools to be displayed, no more drawer jams. The 2 drawers below it are also 51” wide x 2.8 “ high and allow for long pry bars, extensions, screwdrivers, and other hard to store tools to be locked up. 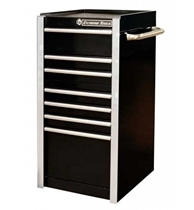 In all 25 sets (50) ball bearing glides are used, there are 6 drawers that are deep enough to accept 2 sets of ball bearing glides, and these drawers are rated at 300 pound capacity. 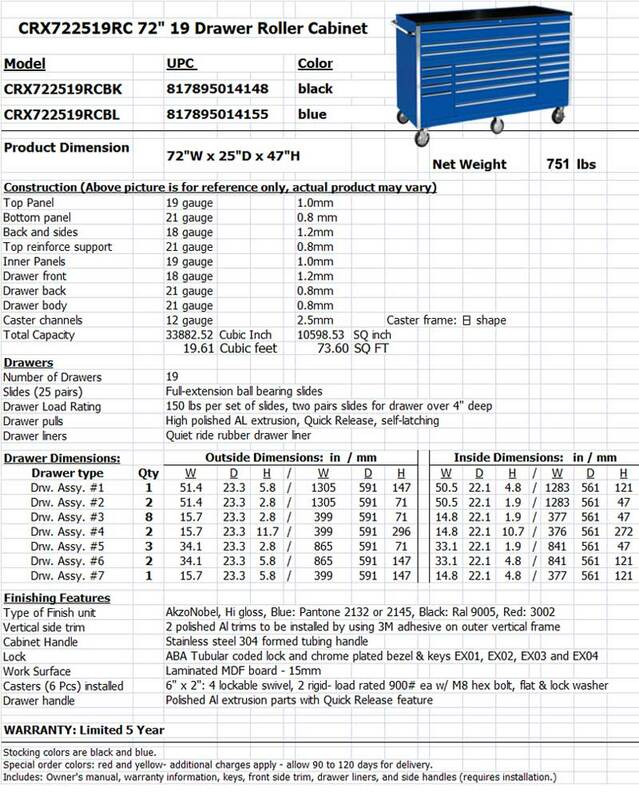 The remaining 13 drawers are rated at 150 pound capacity, with one set of glides. All drawers are full extension drawers and pull out to the back, so you can find all your tools. All wide drawers have reinforcing support panels spot welded under the drawer, which supports heavy loads and keeps the inside of the drawer open for full storage use. One piece polished aluminum drawer pulls and latches offer the best drawer latching design available in tool storage options today; nothing else compares for ease of operation, quality, and safety. This is a must--and it is patented. It cannot be used by another manufacturer. Only Extreme Tools or brands manufactured by Extreme, such as RollCabs.com, offer this unique design. This roll cabinet sits on 6 wheels--4 swivel, and 2 rigid--which bolt into a 12 gauge caster channel. Shipping weight is 815 pounds and net weight 751 pounds. 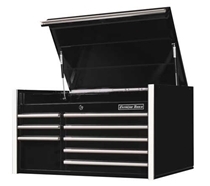 Compare these cabinets and boxes to similar size Snap On Tool Box, Mac Tool Box, and Matco Tool Box, and you will see how solid these boxes really are. 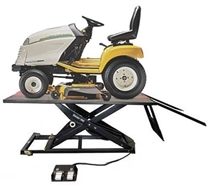 In our experience, we have found people shopping for used tool boxes often purchase new tool storage boxes from us because of our very attractive prices. 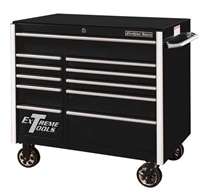 In just a short time Extreme RX Series Tool Boxes have proven to be a great value offering superior quality at low Prices. 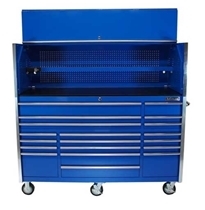 Just read our customer reviews and you will understand the quality and durability of these tool cabinets, as compared to the price.